What do you mean by that, Kristi? Well, it's the title to my friend Jamie's new book, actually, and I've come by to tell you about it. So, let's start at the beginning, shall we? I have this friend who is pretty amazing. I mean amazing at, like, pretty much everything. She's a genuine friend, a great mom, really good at making AND KEEPING promises. She's really good at turning leftover rice into breakfast, she's laid back, smart, confident, savvy, ballsy, polite and dammit if she's not flipping gorgeous, too. Ok, let's face it, she's Barbie. She's got it all, she wears all the hats and has all the cool toys and I adore her. Wanna know how we met? Well, of course you do! It's our favorite story to tell! I didn't think she'd really take me up on the offer, so when my husband and I decided to go out for dinner that evening, I was only a little concerned about missing her call. When we got back, we checked at the front desk to see if anyone had called for us and they said no. We chalked it up to my original thought, that my offer was a little strange, and she decided not to take me up on it. No big deal. Except that we had really hit it off, instant friendship kind of stuff, and I was kinda bummed that we didn't get another chance to hang out. I remembered her last name and that she was from Oklahoma (because, really, who is from Oklahoma?? No one that I knew.) So, I looked her up on MySpace. 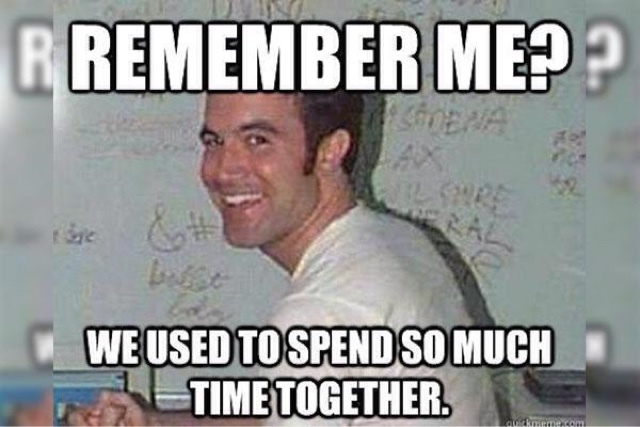 Yeah, MySpace, remember that?? Well, what do do you know? There she was! Now, seven and a half years later, we're still very good friends. Remember what I said about her being so darn awesome and keeping her promises? She came out to visit me in Seattle three times. The first time was for my baby shower. 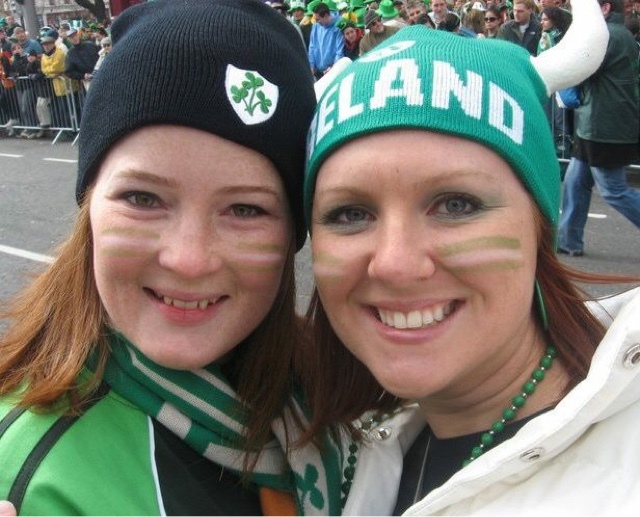 (One of the things we had talked about during the parade was how my husband and I wanted to start a family immediately. She said then and there that she would come to my baby shower when it was time.) 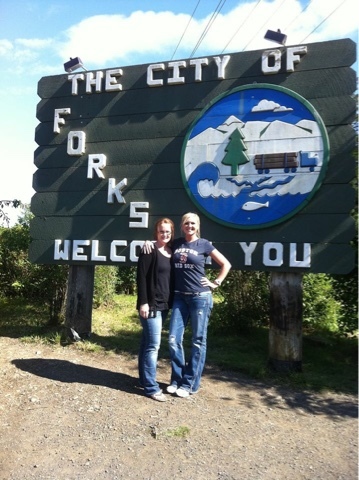 The second visit was to check out Forks, WA and the third was as part of her book tour for Beautiful Disaster. I told her she needed to get Seattle on her list, so she did. That was a fun visit, we had sushi at Pike's Market then went off to the U-District in a limo so she could host a meet and greet and book-signing at the University Bookstore. My daughter and I flew out to Oklahoma twice to visit her, and we've seen each other once since my family and I have moved to Georgia. We are both very busy, but we have Facebook and text messaging and when we have time, we call each other up. Now, she's a successful New York Times Bestselling Author with a whole bunch of books under her belt. She started writing her first book, Providence, around the time of my baby shower. She was working on it while staying with us, and I still remember peeking my head around the corner at 2am and seeing her there in the glow of the laptop. I had the privilege of "editing" the first few hundred pages of that book, and I even make a cameo in the book! How cool is that? So, now here we are on my blog, reminiscing about one of the greatest people I have the unbelievable honor of calling my friend. I was so touched that she asked me to help promote her newest book. I devoured this story in about two evenings and now that it's done, I can't stop thinking about it! I want it to be a movie, I want there to be a sequel. I want to call Jamie up and have her make up the rest of the story on the spot, just to placate my ever-wandering mind. 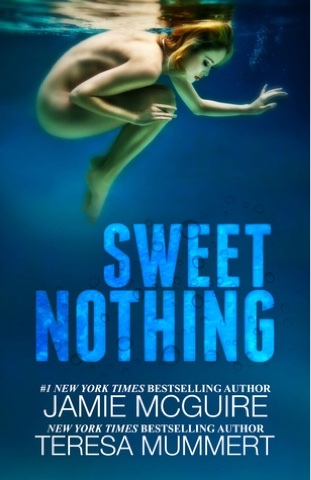 I need to know more about Josh and Avery and HOLY CRAP, how did she (and co-author Teresa Mummert) come up with this story??? Please feel free to check it out for yourself, and then come back here and tell me what you thought. I can't wait to re-read it in a couple weeks when I am flying to Michigan. Do you do that, too? Read a book, then read it again within a few weeks just to pick up all the things you missed? Some people love reading the same story over and over and some people never do. Anyway, before I go, here is the official Release Synopsis just for you. Enjoy! 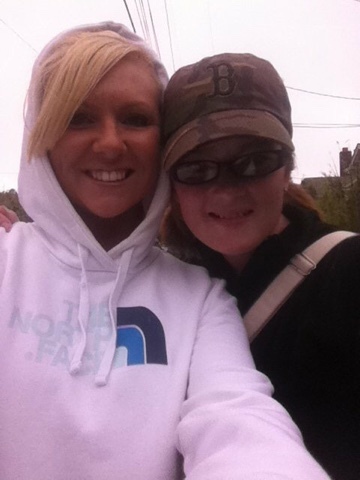 PS Click here to read one of my most treasured memories with Jamie.